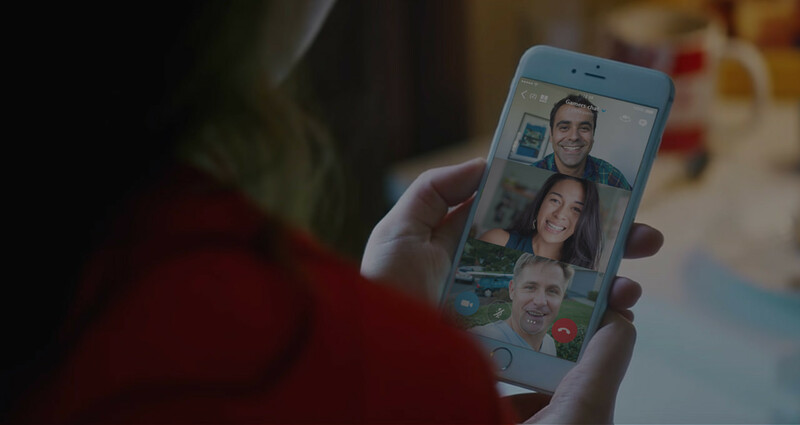 Microsoft’s popular VoIP service has just been optimized for the recently released new major version of Apple’s mobile operating system. Through its latest update, the official iOS app of Skype has been updated with new features that integrate with a couple of frameworks introduced in iOS 10: SiriKit and CallKit. 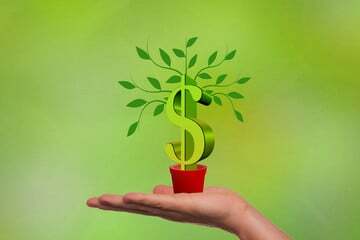 SiriKit allows for the use of only voice commands to Siri, Apple’s intelligent personal assistant, to carry out certain actions with compatible third-party apps, including VoIP apps like Skype. And now that Skype has been duly SiriKit-enabled, you can initiate Skype calls simply by telling Siri something like “Call Lucy on Skype.” While Siri may ask follow-up questions to ensure that the correct contact is called, this new feature lets you call someone on Skype without having to open the Skype app itself — just summon Siri wherever you may be on your iOS device. CallKit enables VoIP apps on iOS to adopt the native Phone interface for calls and to integrate more tightly with the native Contacts app. Prior to CallKit, incoming calls on third-party VoIP apps come through only as simple banner notifications. 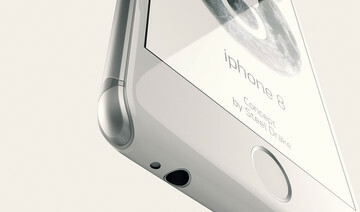 But now, with CallKit, incoming calls are displayed fully using the native Phone UI. And this is true with the newly updated Skype app for iOS. 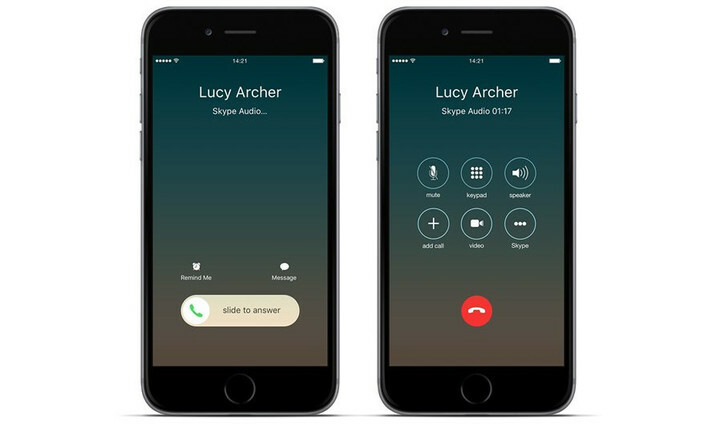 When locked, an incoming call on Skype is shown with the same options as an incoming call over Phone, including those to be reminded to call back later and to message the caller. A call in progress also assumes the regular Phone interface, with buttons for mute, keypad, speaker, video, and even additional call. 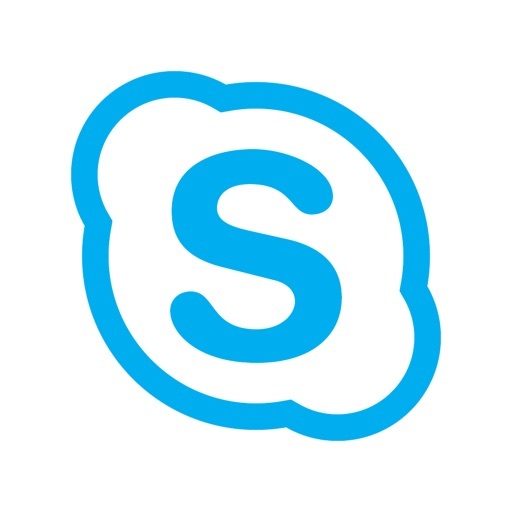 But there’s also a button for Skype, which lets you continue the call within the Skype app. 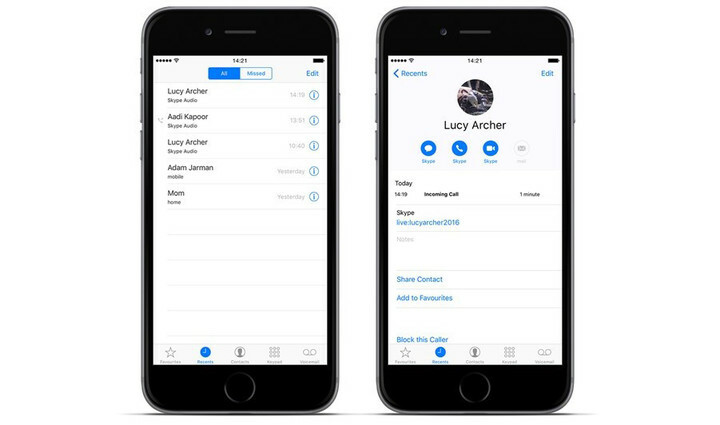 Its use of CallKit also means that your Skype contacts can now be stored natively on your iOS device. 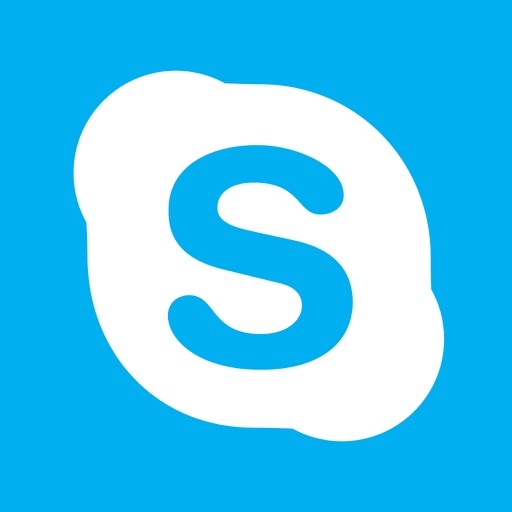 Consequently, you can initiate a Skype call or a Skype chat directly from a contact’s details screen — no need to open the Skype app first to do so. You can enjoy these new SiriKit- and CallKit-enabled features now with the latest versions of Skype for iPhone and Skype for iPad, both of which are available on the App Store for free. If you’re a Skype for Business user, you can expect these features to arrive in the Skype for Business app for iOS in October.